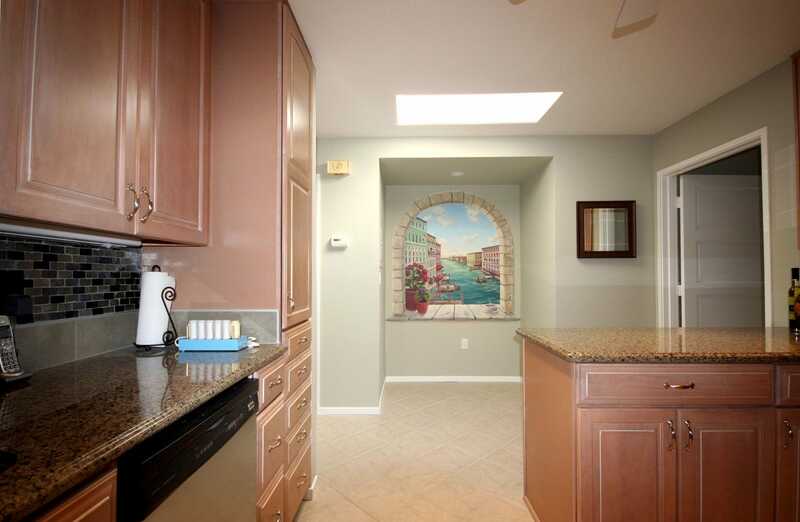 A hot cappucino and dreams of Italy inspired this kitchen breakfast nook in Los Altos, CA. There was no windows to look out on to enjoy the view, so we created one! 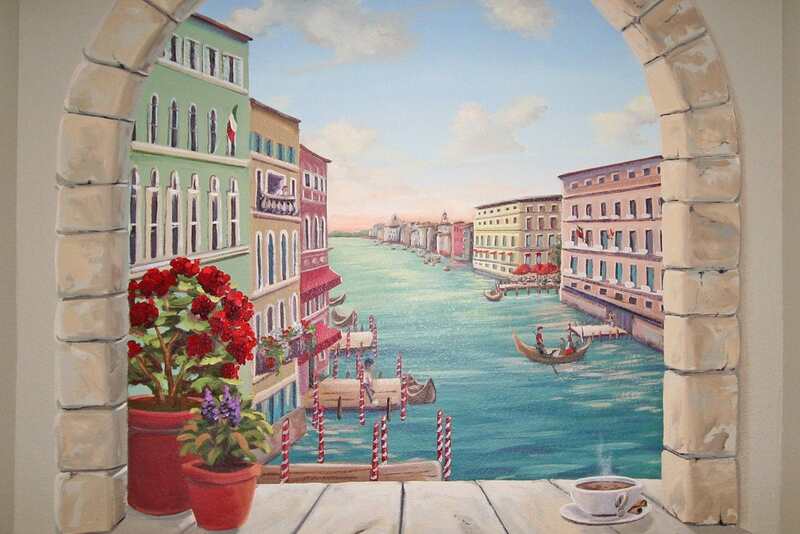 For more information about this mural project, read my blog post Trompe L'Oeil mural of Venice.